Setting up an offshore company in Seychelles has many advantages, however, those who open such company must also comply with several legal requirements. Among these are the responsibility of appointing a company director who will ensure the management of the offshore company and a company secretary. 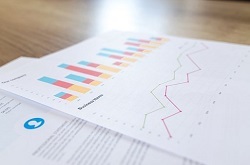 Foreign investors who want to open IBC companies in Seychelles have several options when it comes to establishing the management of the company, as the director can be a natural person or another company. Below, our company formation agents in Seychelles explain the management requirements imposed by the law for offshore companies. We can also assist with the registration of an IBC in Seychelles. According to the International Business Company Act, an offshore company in Seychelles must have at least one director who can be a resident or non-resident of this country. Also, the director can be a natural person or a corporation, and thus permitting the appointment of nominee directors. However, it is also possible for the owner of the company to be its director. The director will be appointed by the shareholder(s) of the company prior to the registration of the offshore in order for his or her personal information to be filed with the Companies Register in Seychelles. The main role of the company director of a Seychelles offshore is to ensure the day-to-day activities of the business. As mentioned earlier, the company management of an IBC company in Seychelles can be ensured by a natural person who can be the beneficial owner of the company, a person elected by the owner, or a specialized agent who provides nominee services. - it is important to know that the owner does not need to apply for a residence permit in Seychelles. There is also the possibility of appointing one or more individuals to become managers in the offshore company in Seychelles. When appointing more individuals, these will form the Board of Directors of the company. Another option is to appoint a specialized agent who provides nominee services in Seychelles. This service will be based on a contract and will usually have a limited duration. 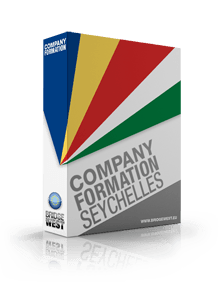 Our Seychelles company formation specialists can offer more information about the options related to the management of an offshore company. The other option for company management in a Seychelles IBC company is to appoint corporate directors. This function can be completed by a Seychelles-based company which will have the same duties and responsibilities as a natural person. Most of the times, corporate directors are appointed by foreign investors opening offshore companies in Seychelles without being required to come here. The corporate manager can also be appointed as a nominee director based on a services contract. As mentioned above, both natural persons and companies can be appointed as nominee directors for IBC companies in Seychelles. These are usually services meant to help foreign investors who want to set up offshore companies in Seychelles to benefit from fast business registration procedure. - the nominee director will report directly to the beneficial owner of the Seychelles offshore. If you decide to open an offshore company in Seychelles and need nominee director services, please contact us. We provide both company registration and nominee services in Seychelles so that you don’t have to worry about the legal requirements imposed on IBC companies.